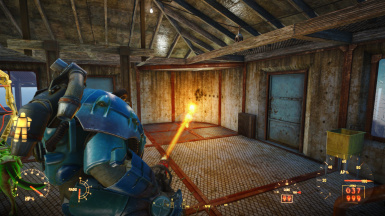 Pip-Boy and Power Armor attachments that boost weapon accuracy. Alternate versions available that add scope stability. Alternate versions available that add scope stability. 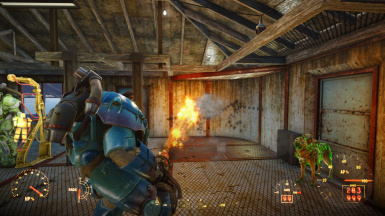 Both of these versions the Power Armor attachment act the same with scope and cone of fire stability. 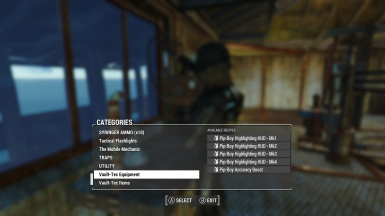 The Pip-Boy attachments acts differently. 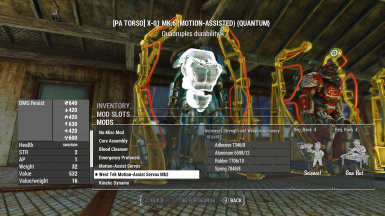 1, Pip-Boy scope stability needs a Stabilized armor mod in order to function. 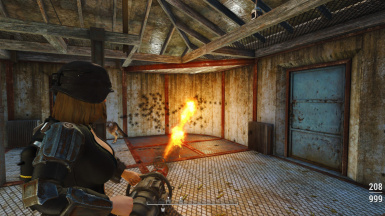 2, Pip-Boy scope and cone of fire stability requires a Stabilized armor mod in order to function. 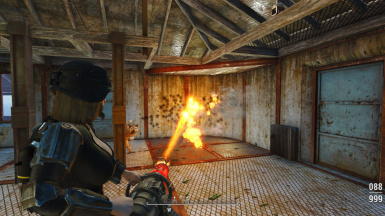 All mods require level 4 in Science and Gun Nut perks. The new items have an enchantment perk that reduces the weapon cone of fire. It will work with all weapons. The weapons still have muzzle climb and drift that still cause inaccuracies.